Get more power on your V8 Pontiac G8 by installing the K&N Aircharger Intake Kit and see incredible power gains of 12hp and 13lb/ft torque. 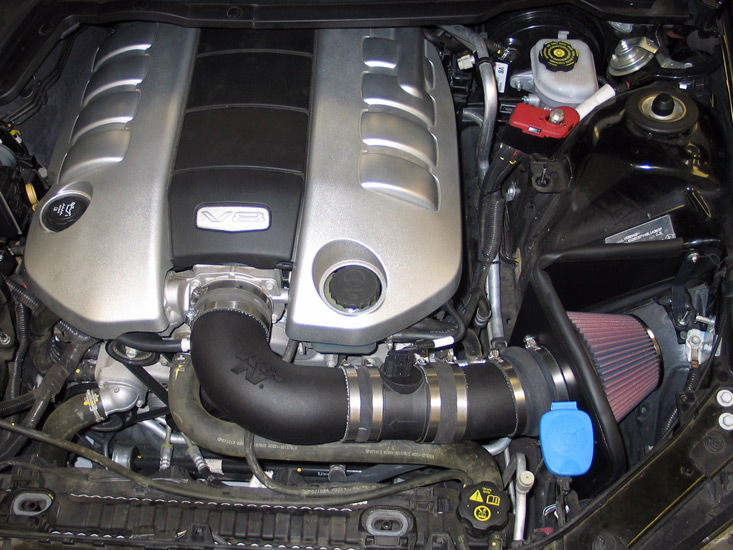 The K&N Aircharger Intake Kit increases the airflow on your Pontiac G8 V8. The V8 in your Pontiac G8 needs a lot of air to get the most out your car's performance. 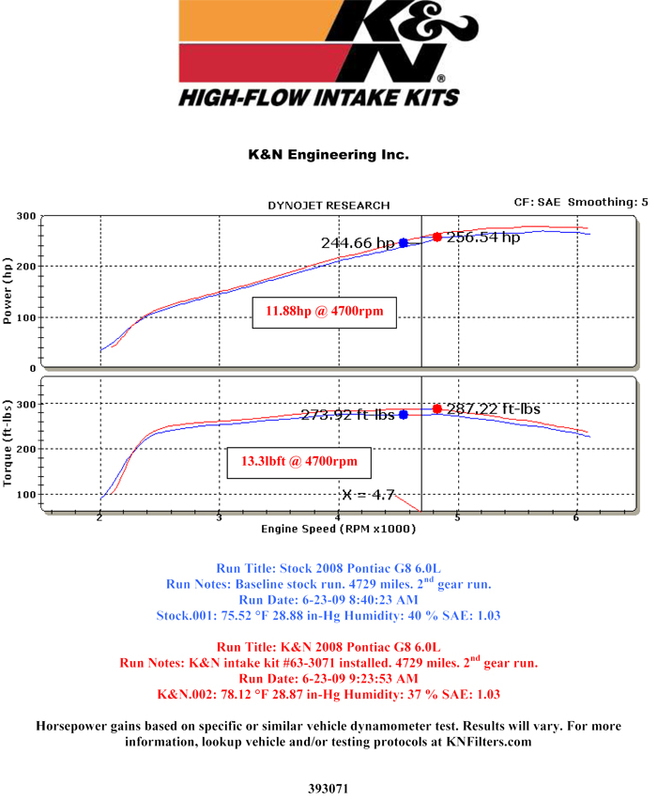 The OEM intake system is not efficient enough for the performance results you crave. The K&N Aircharger Intake Kit replaces your factory intake system with free flowing piping and a large cone air filter for the maximum airflow possible for your engine. You will see dramatic power gains of 11.88hp and 13.3lb/ft torque to the wheels on your Pontiac G8 with the K&N Aircharger Intake Kit. The installation is very simple and straightforward since the K&N Aircharger Intake Kit utilizes the factory holes and mounting locations. Also, the K&N air filter included in the kit is washable and reusable so you never have to replace your air filter for the life of the car. 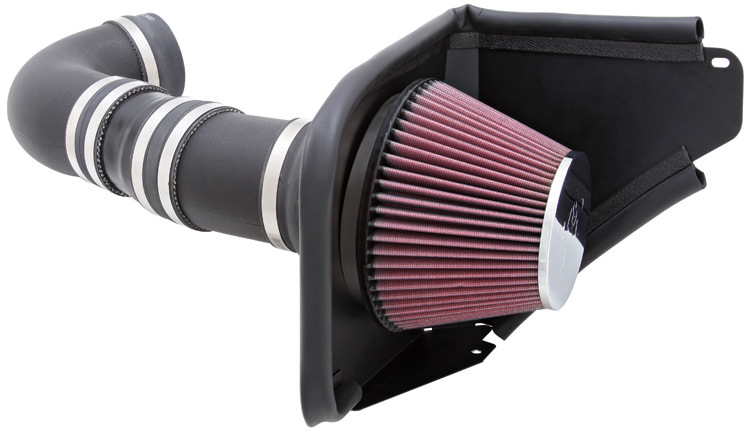 K&N includes their Million-Mile Limited Warranty with all their air filters and intakes.